Regulators in Wisconsin have reportedly lifted the "cease and desist" order from a warning sent to Amish Wisconsin egg farmers in March. The 7-year operation where farmers shipped their eggs directly to consumers from their farm was temporarily shut down by an order from the Wisconsin Department of Agriculture from a complaint that allegedly originated from regulators in California. After an outcry from customers and supporters who contacted the governor of Wisconsin and other officials, regulators reportedly told the farmers that they could continue shipping their eggs while they worked with them to bring them into compliance with the alleged violations. The farmers are happy to be able to sell their inventory of eggs again because they would have had to shut down their operation at the end of this week due to the cost of feeding and maintaining their flocks while not being able to sell their eggs. They are not sure yet if any new regulations or requirements placed on them will become a burden too costly to allow their operation to continue, so it is uncertain at this time if their 7-year direct-to-consumer egg operation will continue to operate into the foreseeable future. 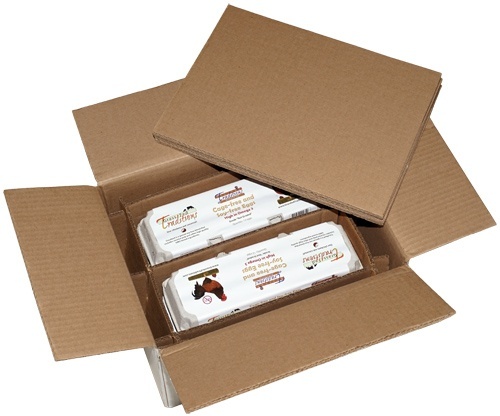 For now, customers can order the eggs from the Healthy Traditions' website. Meanwhile, there is more evidence that the State of California was behind this action, as they recently sent a "cease and desist" order to Tropical Traditions regarding the sale and shipping of eggs.